Holly has ten years’ experience in social policy, health, education and international development. She combines robust analysis with strong interpersonal skills to deliver excellent results for clients and their stakeholders. Holly has advised governments, not-for-profit organisations, community organisations and education providers across a range of areas – including policy development, service design and delivery, stakeholder engagement, strategic planning and monitoring and evaluation. Before Nous, Holly held policy and program management positions with government agencies, the United Nations and education providers. Managed an outreach program in 57 regional and urban schools in New South Wales to increase education aspirations for students from low socio-economic backgrounds. Prior to joining Nous, Holly managed a range of policies and programs for government, non-government and education organisations. She has worked for the Joint United Nations Programme on HIV/AIDS (UNAIDS) in Cambodia, where she supported community leaders and government authorities to develop health and social protection programs. 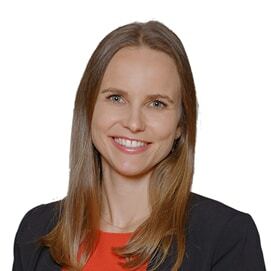 Prior to that, she worked for the Australian Department of Education, Employment and Workplace Relations in strategic and social policy areas, and for the Australian Agency for International Development (now the Department of Foreign Affairs and Trade) on development programs in Asia. She has also worked for education providers managing school outreach and international programs. Holly holds a Master of International Law and Bachelor of Economic Social Sciences from The University of Sydney. Holly enjoys camping, bush walking and a good game of social netball. She loves to travel and has lived in Cambodia, Japan and the Netherlands.